Most kids enjoy reading and coloring activities! JumpStart’s collection of short and simple stories is a fun way to give kids some reading practice and teach them new words. 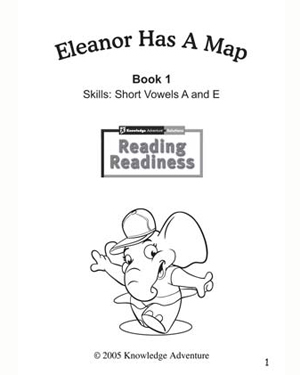 ‘Eleanor Has A Map’ is a free, printable reading activity that is filled with fun drawings. Kids can color each page as they like and get creative! This short story focuses on words with short vowels ‘a’ and ‘e’.